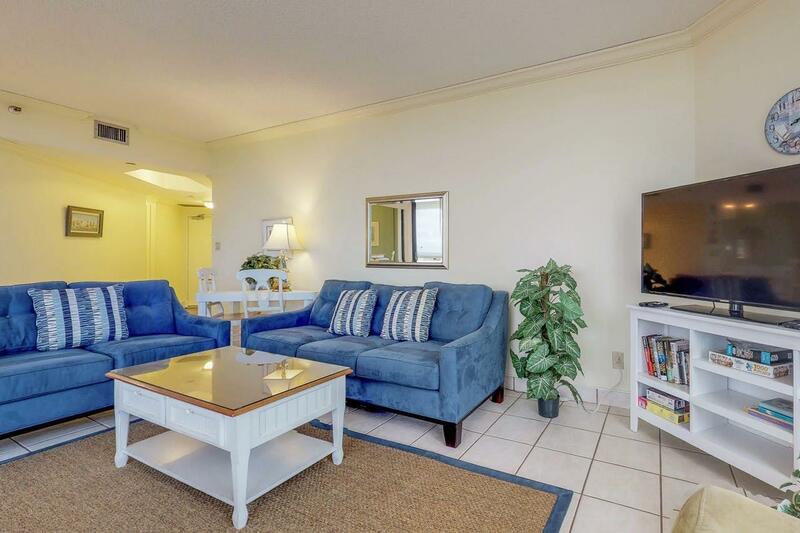 Large corner-unit with wrap-around balcony and floor to ceiling sliding glass doors bring the outside in. 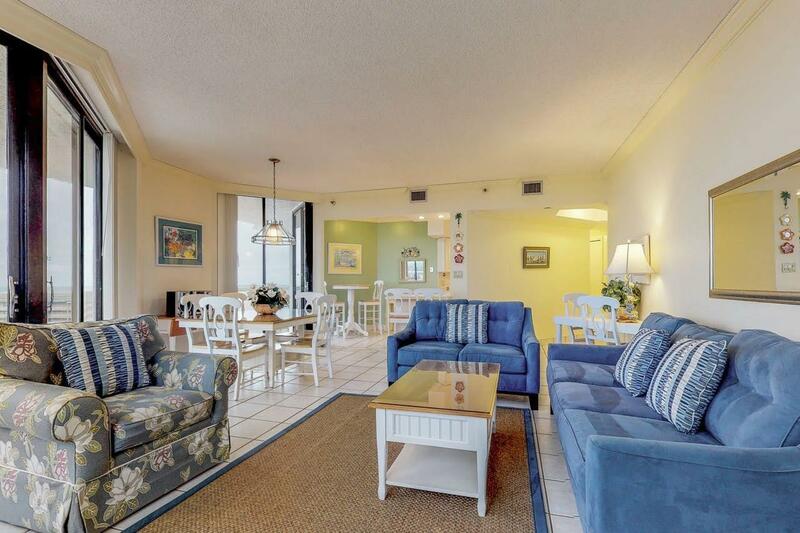 The unit has some renovations and is being sold fully furnished, ready for fabulous vacations. 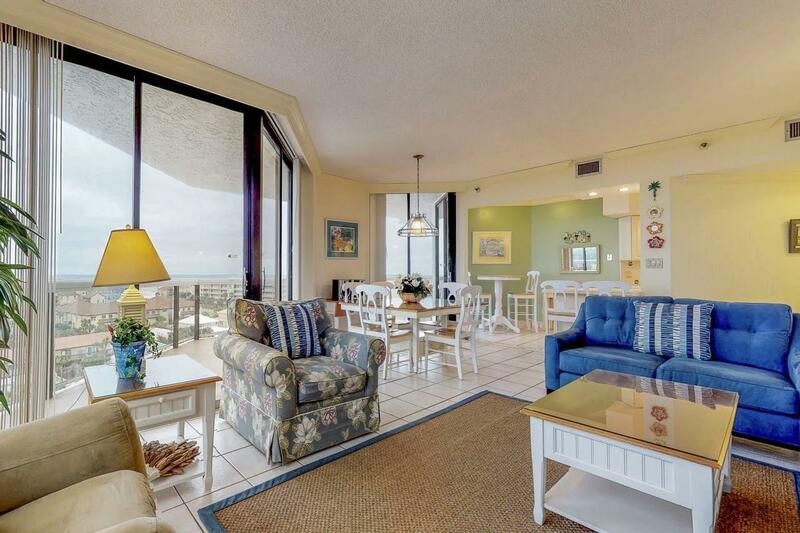 Surfside has many repeat guests and has excellent rental history. 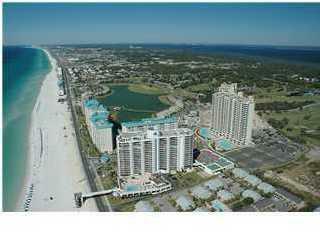 The 3bdrm/3ba unit can be rented as a 2bdrm & a 1bdrm with great gulf/bay views. Perfect for a primary residence, or as a lucrative investment property. Amenities include The Royal Palm Grill, interior hallways, covered parking, fitness center, spa/hair/nail salon,heated pool, kiddie pool, hot tubs, saunas, Tiki bar at the pool, & beach bar with food service. No need to cross the street, a sky bridge takes you down to Surfside's private beach. Surfside also has lighted tennis courts, basketball & shuffleboard, an events room located adjacent to the restaurant, available for weddings, parties, or business meetings. There are two parking garages, one for owners only and one for guests. Surfside Resort is fabulously built, concrete and steel Cat.5 building and very well maintained by its active HOA/Board of Directors. There are on-site maintenance and management offices, resort security and a full service front desk located in the beautiful lobby operating seven days a week to assist owners and their guests. Surfside is located in Miramar Beach, a much less crowded/lower density area. Surfside has it all. Buyer to confirm all dimensions. Walk to the Whale's Tail, visit the Silver Sands Factory Outlet Mall or plan a golf day at one of Destin's championship golf courses.